Rupert Sanders allegedly still has feelings for Kristen Stewart and hopes they might have a future together. 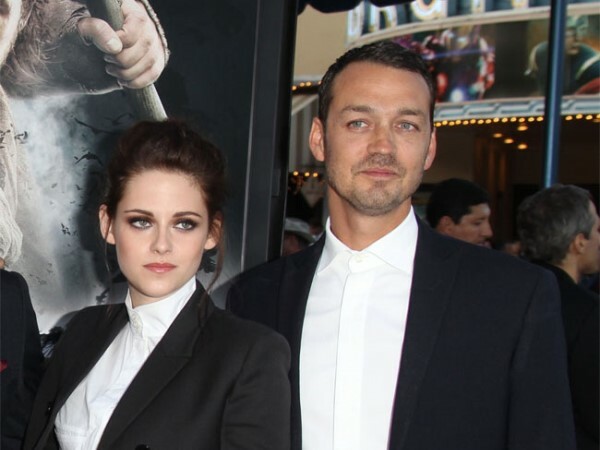 Rupert Sanders allegedly still has feelings for Kristen Stewart. The Snow White and the Huntsman director's marriage to model Liberty Ross crumbled when his fling with the 23-year-old actress was exposed in Los Angeles in July 2012, and he is reportedly still pining over the brunette beauty. A source told gossip website RadarOnline.com: "His family is wrecked. Even though he has admitted to everyone in his life that the long-brewing affair was a terrible idea, he still hasn't been able to get over his feelings for Kristen. "He fell in love with her a long time before he laid a finger on her, and he's finding it difficult to shake." The 42-year-old filmmaker is still friends with Kristen, who split from her long-term boyfriend Robert Pattinson in May 2013 after they struggled to move past her "momentary indiscretion," and hopes they might have a future together. The insider said: "Rupert, against all better judgement, still holds out hope that he and Kristen can get things going again, but he's completely deluded - she would never put her career on the line like that again." Kristen told the March issue of US Marie Claire magazine that she has no regrets about her mistakes and has realised she can't control her heart. The Twilight Saga star said: "I stand by every mistake I've ever made, so judge away."